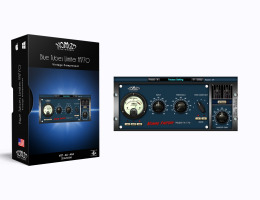 The BT Compressor FA770 provides the operation and sound of highly coveted analog limiters. The FA770 is designed with a fixed-ratio and time constant switch (see settings below) as part of its characteristic vintage sound. This model proves that you do not need many knobs and sliders to achieve the great compression sound of the FA770. Adjust the Threshold, maybe the Time Constant to adjust the speed, and there you have it.